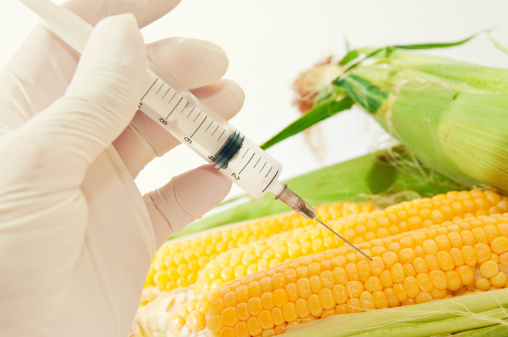 Fears about genetically modified organism (GMO) foods have been increasing. One of the biggest and more sinister worries is that the consumption of GMO foods could up the risk for cancer. A French study released last year garnered a lot of press and interest after it claimed that GMO corn fed to rats caused tumors. The study was met with both fear from the public and scorn by other researchers, who discounted the claims linking GMO corn to tumor growth. Many experts in the field called the study pseudoscience and that it deliberately attempted to stoke fears over the consumption of GMO foods. It appears those thoughts may have been warranted after all, since this study was recently retracted. The researchers who performed the trial had initially published their results in Food and Toxicology—a journal highly respected by scientists. The French study claimed that Monsanto’s GMO corn developed cancerous tumors in rats, as well as triggered signs of liver and kidney damage. The researchers went on to claim that when the rats were fed the Monsanto corn and drank water containing permitted levels of Roundup, they died sooner than their counterparts who were fed a normal diet. This study was also notable for the photos it published of rats with alarming-looking tumors growing out of their bodies. The public seized upon these images and the results of the study quickly spread like wildfire throughout the medical community. The word “Frankenfood” became a common sight in headlines. However, it wasn’t long before scientists started to contest both the execution of the study and the results. According to one team of researchers, the French study did not acknowledge that rats are very susceptible to getting tumors, no matter the diet. When reviewing the data from the study, scientists contested that no conclusions could truthfully be made. Discrepancies continued to be unearthed until finally the researchers were urged to retract the study. The research team defends its work, however, saying that the new editor hired by Food and Toxicology had previously worked for Monsanto for a number of years. The debate about the healthiness of GMO foods will continue. There are those that feel that tampering with Mother Nature is only going to lead to problems down the line and ill health for humans. Proponents of GMO foods say the practice of genetically modifying plants has been going on for a long time. The methods are more sophisticated and efficient now, but the basic principle remains the same: plants can be cross-bred to produce greater crop yields. GMO foods have already become a reality. They are in your local grocery store and are eaten by many of us without even realizing it. There are activists, environmentalists, scientists, and doctors who will continue to follow the development and consumption of GMO foods. More research will likely be conducted, but neither side of the debate will be happy until clinical trials conducted on humans show irrefutable cause-and-effect evidence. Séralini, G., et al., “Long term toxicity of a Roundup herbicide and a Roundup-tolerant genetically modified maize,” Food and Chemical Toxicology. Sept. 19, 2012. “Cancer row over GM foods as French study claims it did THIS to rats… and can cause organ damage and early death in humans,” Daily Mail online, Sept. 20 2012; http://www.dailymail.co.uk/sciencetech/article-2205509/Cancer-row-GM-foods-French-study-claims-did-THIS-rats–cause-organ-damage-early-death-humans.html?openGraphAuthor=/home/search.html?s%3D%26authornamef%3DSean%2BPoulter, last accessed Dec. 6, 2013. Munro, M., “Study that fuelled fear of ‘frankenfood’ retracted,” The Vancouver Sun web site, Nov. 29, 2013; http://www.bostonscientific.com/lifebeat-online/heart-smart/coronary-artery-disease.html?, last accessed Dec. 6, 2013.